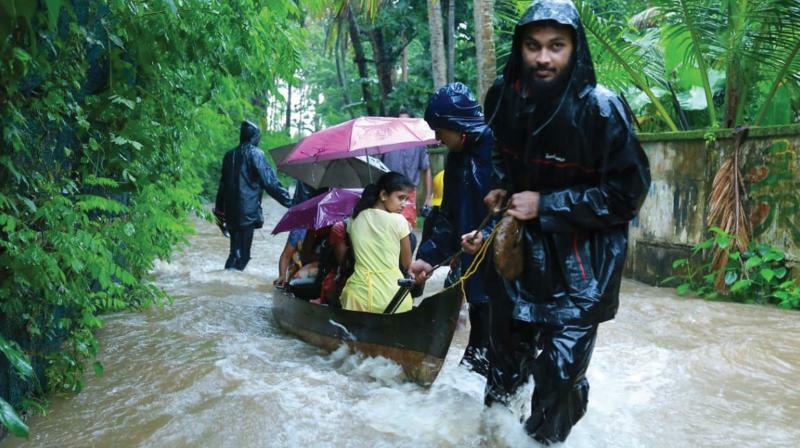 Puthenvelikara in North Paravoor in Ernakulum district was one of the worst-hit villages in the floods. Kerala has just overcome its toughest times in a century. The recent floods of catastrophic dimensions ravaged the state, and not just in terms of infrastructure. We pulled it off, winning admiration from the rest of the world. Technology played a huge role in the rescue operations as Malayalis world over stood as one to lend a helping hand to their homeland. Meanwhile, the floods also changed the lives of two local photographers. Puthenvelikara in North Paravoor in Ernakulum district was one of the worst-hit villages in the floods. Two local photographers, Jayan and Xavy, were instrumental in informing the outside world about the situation in the isolated village. They shared visuals from the calamity-struck area with the media. “I have a few friends in the media who asked me to click relevant pictures,” says Jayan. They took part in the rescue operations along with capturing photographs. Those photos made them famous, and also led them to forming an organisation – Unarv. “It’s been three months after the floods; things are almost back to normal for those who were not severely affected. But it will take a while before the state is completely rebuilt. So Unarv is organising photo exhibitions in various areas to keep reminding people of the floods. It was great to see everyone joining hands to bring back Kerala,” says Jayan. The exhibition held at Puthenvelikara gifted him some of the proudest moments of his life. Seeing the images, the visitors felt like reliving the ordeal, and he got compliments. People found it hard to believe that they actually overcame such a tragic period in their lives. The cameras of Jayan and Xavy captured moments of despair, relief and joy. Jayan took almost 130 pictures; every click has its own story. He is a photographer with Chaithram Studio at Elandhikara. Heavy rains and flood devastated Puthenvelikara and it was isolated for weeks. Jayan and Xavy were the only photographers who remained there to save people from the afflicted areas. Rescuing a 104-year-old grandmother, who is popular in the village (she is now known as the grama muthashi) a newborn baby and pregnant women were his most popular clicks. During the process, they witnessed many heart-touching situations like falling of the Kuthiyathod Church which took six lives. The photo of ruined medicines kept at a health centre was captured by Xavy. House cleaning was the most challenging part, Jayan remembers. People returning from relief camps to their homes could not tolerate to see the condition of their belongings, electronic equipment, kitchen utensils etc. They had to start from the scratch. People particularly loved the photograph of a woman carrying her spoiled television. Jayan wasn’t aware of his great skills as a photographer until the floods. He now believes he chose this profession for a reason.